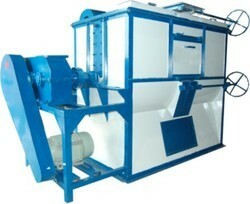 We are engaged in producing and supplying a fine quality Mixer Machine. 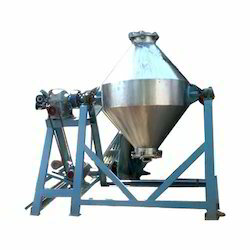 Our product is used in mixing process for various materials. Due to its versatility and affordable rates, our product is recommended widely in the market these days. These products are fabricated using optimum grade raw material that is procured from reliable vendors of the market. The products we offer are available in stainless and mild steel, which helps in speedy and uniform mixing of ingredients with the help of ribbon and spiral type blades. Our range of these products is rendered as per the requirements of our clients. 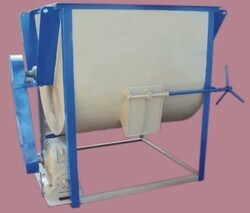 We are the leading and prominent Manufacturer and Exporter of Single Shaft Ribbon Mixer Machines to our clients. We manufacture excellent quality Medicine mixer. It is basically used to mix various medicines such as amino acids, various vitamins, calcium, etc used in poultry feed production in a homogeneous proportion. The success of the product is mainly due to its capsule design. our machinery is used in the food, mineral mixing, pharmaceutical industries. Our range of Single shaft Paddle Mixer Machines is manufactured by using high-grade metal and alloys. These machines are provided to clients as per any specifications provided by them. 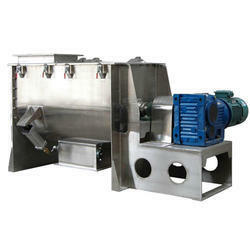 We are engaged in producing and supplying a fine quality Double Shaft Ribbon Mixer Machines. Our product is used in mixing process for various materials. Due to its versatility and affordable rates, our product is recommended widely in the market these days. 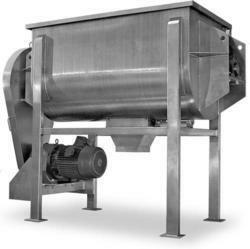 Ribbon blender, we manufacture is used in the mixing of both dry and free-flowing powders. It involves the blending of large volumes of dry basic solids.